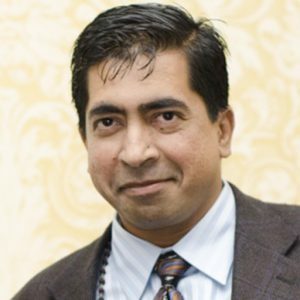 Dr. Sriram “Sri” Kalyanaraman (sri@jou.ufl.edu) is Professor of Journalism at the University of Florida’s College of Journalism and Communications. At UF, he is affiliated with the Online Learning Institute (OLI) and is setting up a Media Effects and Technology Lab. Previously, he was a faculty member and director of the Media Effects Laboratory at the University of North Carolina’s School of Journalism and Mass Communication. At UNC, Dr. Kalyanaraman had an adjunct appointment in the School of Information and Library Science. Dr. Kalyanaraman’s educational background includes a bachelor’s degree in engineering and an interdisciplinary PhD in mass communication, with a focus on technology, marketing, psychology, and statistics. Dr. Kalyanaraman’s primary research focuses on the psychology of new technologies, particularly as they inform persuasion and attitude change in online environments. Within this realm, his scholarship has explored psychosocial effects of interactive technologies, Web navigability, and Web-based customization. He also studies information processing of persuasive health messages (e.g., persuasive anti-smoking messages, effective cancer communication). Dr. Kalyanaraman’s research has been funded by both government and industry and he has been published in journals such as the Journal of Communication, Communication Research, Media Psychology, Journal of Broadcasting and Electronic Media, Journal of Advertising, Health Psychology, Journalism and Mass Communication Quarterly, Journal of the American Society for Information Science and Technology, Health Communication, Journal of Nervous and Mental Disease, AIDS Education and Prevention, Journal of Consumer Behavior, among others. Dr. Kalyanaraman serves or has served on multiple editorial boards including Journal of Communication, Human Communication Research, Journal of Computer-Mediated Communication, Journal of Broadcasting and Electronic Media, among others, and was a co-editor of the interdisciplinary journal, Media Psychology (2011-2014). He is also the recipient of the 2011 Hillier-Krieghbaum Award conferred by the Association for Education in Journalism and Mass Communication (AEJMC). Dr. Kalyanaraman teaches graduate and undergraduate classes in new media and communication technology, media psychology, and research methodology. These include courses on human-technology interaction, process and effects of mass communication, quantitative techniques, experimental design and analysis, perspectives on digital marketing, effects of technology on self and society, ethical issues in communication, among others. Currently, he is co-teaching an honors seminar on The Beatles. Wojdynski, B., & Kalyanaraman, S. (in press). The three dimensions of Website navigability: Explication and effects. Journal of the American Society for Information Science and Technology. Kalyanaraman, S., & Wojdynski, B. (2015). Affording control: How customization, interactivity, and navigability affect psychological responses to technology. In S. S. Sundar (Ed. ), The handbook of the psychology of communication technology. Wiley-Blackwell. Lyons, E. J., Tate, D. F., Ward, D. S., Ribisl, K., Bowling, J. B., & Kalyanaraman, S. (2014). Engagement, enjoyment, and energy expenditure during active video game play. Health Psychology, 33(2), 174-181. Turner-McGrievy, G., Kalyanaraman, S., & Campbell, M. (2013). Delivering health information via podcast or Web: Media effects on psychosocial and physiological responses. Health Communication, 28(2), 101-109. Li, C., & Kalyanaraman, S. (2013). “I, me, mine” or “Us, we, ours?” The influence of cultural psychology on Web-based customization. Media Psychology. 16(3), 272-294.